Our guide to Los Angeles will help you find the best wine spots in Los Angeles California. Celebrities, movie cameras, and persistent paparazzi – these may be the hallmarks of present-day Los Angeles, but the second largest city in the United States has a rich and varied history that extends far beyond the glitter of the silver screen. California dreaming begins with Los Angeles. The sun, the beach, and the winking tinsel of Hollywood remain a permanent lure. Who can resist peeling down Sunset Strip in a convertible? Still, L.A. is a tricky city -- it takes know-how to navigate the sprawling neighborhoods and get into the top clubs. There are tons of great wine spots in the city of Los Angeles, our city guide will help you find the best wine spots. You may have a hard time deciding what to do in Los Angeles, but we make your decision easy. 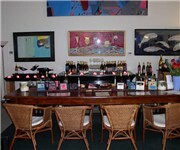 10850 W Pico Blvd, (310) 474-6291 - Landmark Wine Bar is a wine bar located in Los Angeles CA. 2308 S Union Ave, (213) 748-6030 - Bacaro L.A. is a wine bar located in Los Angeles CA. 3111 Glendale Blvd, (323) 662-5556 - Atwater's cool neighborhood wine shop keeps the party going in the wine cellar with curious locals and smart sommeliers. 320 S La Brea Ave, (323) 932-9500 - Cuvee Wine Lounge is a wine bar located in Los Angeles CA. 361 S Fairfax Ave, (323) 651-1442 - Sheddy's Beer & Wine Bar is a wine bar located in Los Angeles CA. 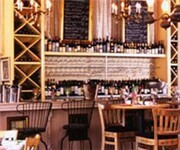 428 E 2nd St, (213) 628-8877 - Tapas & Wine Bar C is a wine bar located in Los Angeles CA. 5545 W Pico Blvd, (323) 662-2442 - Chic Wine Bar is a wine bar located in Los Angeles CA. 724 Vine St, (323) 962-6369 - Lou is a wine bar that pours thirty interesting wines by the glass and a full menu of delicious things to eat. 800 W Olympic Blvd, (213) 745-9911 - Flemings Prime Steakhouse & Wine Bar is a wine bar located in Los Angeles CA. 8022 W 3rd St, (323) 653-6359 - AOC is a wine bar located in Los Angeles CA. 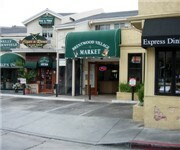 11725 Barrington Ct, (310) 476-0565 - Brentwood Village Market & Wine Shop is a wine shop located in Los Angeles CA. 12905 S Spring St, (310) 532-8300 - Wine Merchants International is a wine shop located in Los Angeles CA. 2114 Colorado Blvd, (323) 478-1985 - Colorado Wine Company is a wine shop located in Los Angeles CA. 2395 Glendale Blvd, (323) 662-9024 - Silverlake Wine is a wine shop located in Los Angeles CA. 7435 Melrose Ave, (323) 651-0178 - Melrose Fine Wine & Liquor is a wine shop located in Los Angeles CA. 8344 Melrose Ave, (323) 655-5557 - Whether you need gifts for clients or employees, award and recognition gifts, birthday or new baby gifts, we have pleny of creative ideas. 9101 W Sunset Blvd, (310) 652-1000 - Gil Turner's Fine Wine-Spirits is a wine shop located in Los Angeles CA. There are plenty more wine spots in Los Angeles. See all wine spots in Los Angeles California.